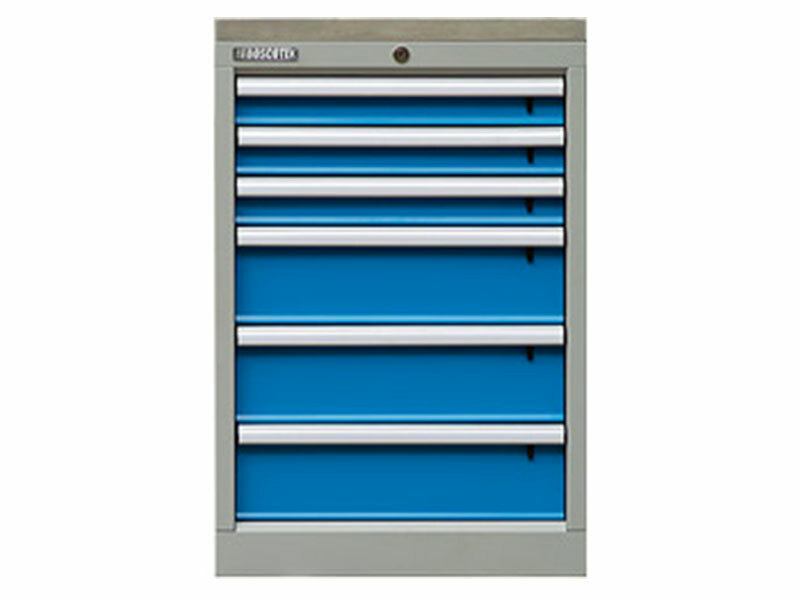 The Boscotek Vice Box is designed to house a Heuer Collapsible Vice and be bolted onto one side of a Boscotek High Density Cabinet. 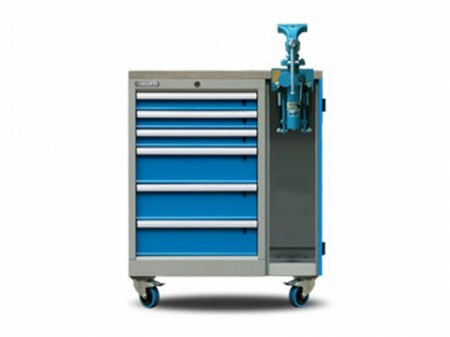 The Vice can be used then easily tucked away using the collapsible feature of the Vice inside the cavity of the Vice Storage Cupboard. This keeps work surfaces clear and the vice safe and secure with the hinged door with lock. The vice box hinge door comes with heavy duty lift off hinges for easy removal when space is limited. 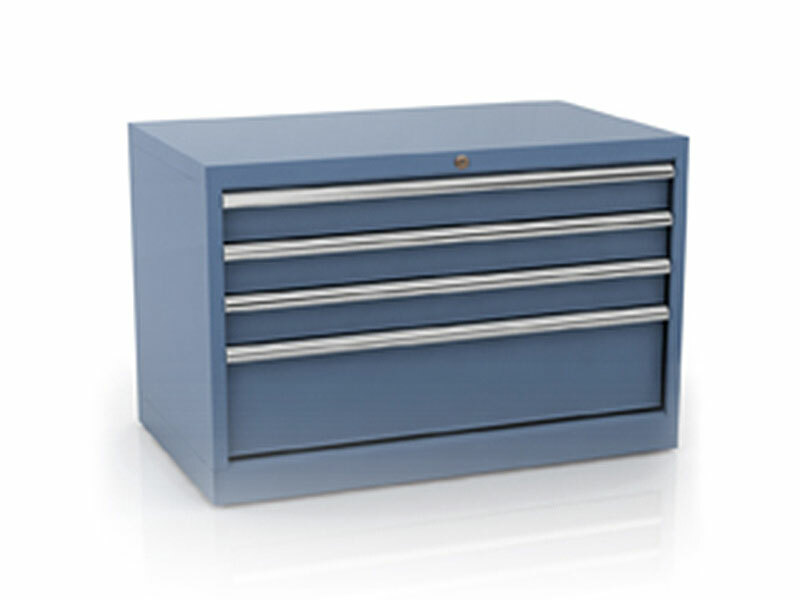 Lock can be keyed alike or keyed to differ with your main high density storage cabinet or entire Boscotek workshop. The vice box cavity allows for efficient storage of the Heuer vice with collapsible and collapsible lift accessory. The vice box is 240mm wide. 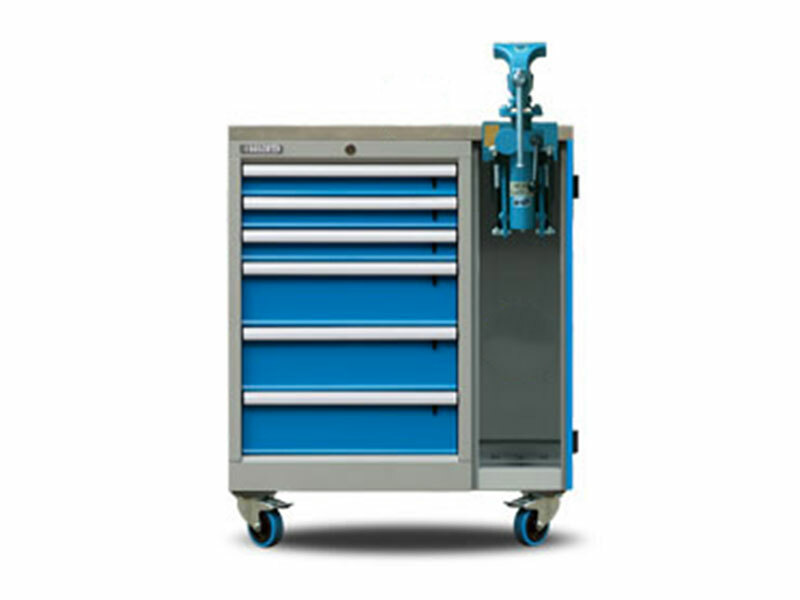 High density storage cabinets that include a vice box (mounted on the left or right) can incorporate a bench top covering both top surfaces as one piece, offering a seamless work top solution. The vice box door integrates neatly with the Heuer vice mounting plate. Collapse, lift and rotate, three advantages in one unit. When not in use the vice can be folded beneath the workbench thus freeing the whole workspace for other work. The adjustability of the vice extends to approx. 175 mm in height and can be rotated 360 degrees. People of different sizes, items of different height, sizes and shapes requiring a variety of work, are effortlessly accommodated with the HEUER-Collapsible-Lift equipment. Collapse, fold and stow. The ideal complement for the bench-vice. The HEUER-Collapsible can be stowed under the workbench with ease creating extra space when not in use. The Heuer collapsible provides an especially ergonomic solution to clustered workspaces in the workshop. In its working position, the vice is fixed sturdily to the workbench and free of any vibration.